Got some spare time and a bunch of cardboard? 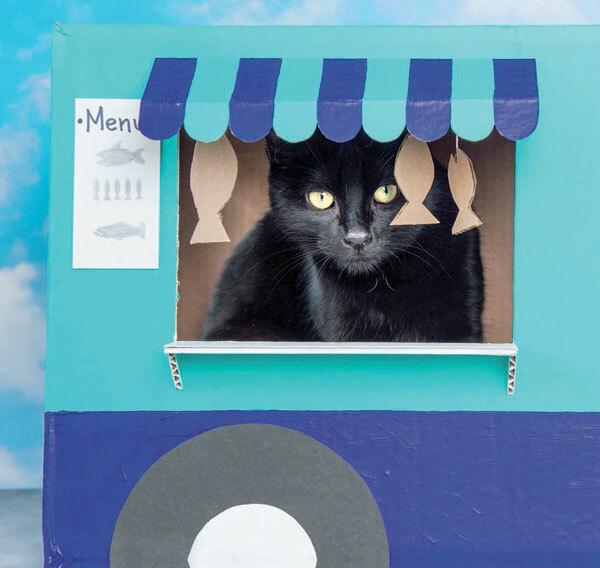 This fun book by Carin Oliver gives you ideas for a variety of cute, functional and easy-to-make cardboard hangouts. cat comfy play spaces that are inexpensive and eco-friendly. Does your cat like quiet time? Try making her a house or tunnel. 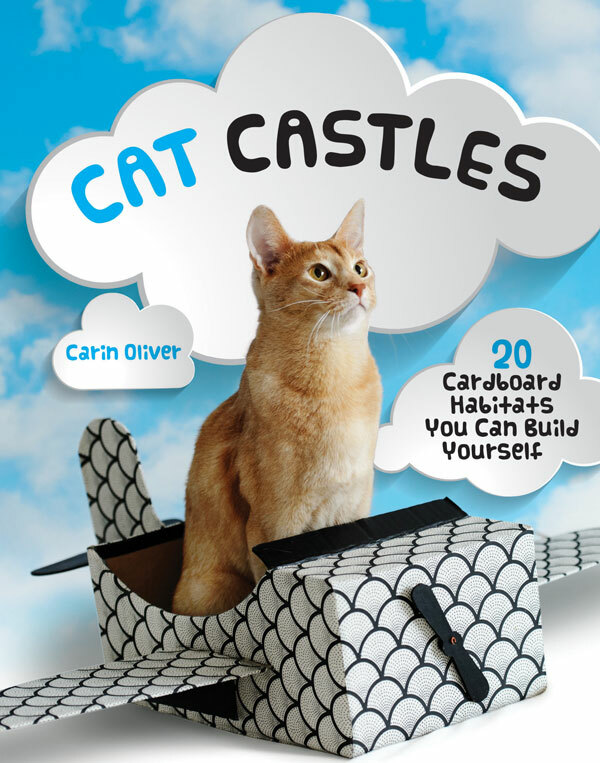 If your cat is adventurous, try the airplane, boat or train. Condos, castles and pyramids are great for cats who prefer the lap of luxury. And for the cat who has everything, give her a little more with a nap tube or entertainment center! Starting at $10.70 via Quirk Books.